Exercise & Physical Activity: Is There Really A Difference? It is clear the exercise plays a big role in the health of Canadians, and is also a behavior that can be voluntarily changed…that is why it is one of the central pillars of the HealtheSteps program. Over the years, we have seen many of our participants substantially increase their levels of exercise over their time in the program, the long-term benefits of which are clear. However, researchers are beginning to understand that exercise is only one piece of the puzzle. In fact, physical activity, which can be considered more broad than exercise, has also found to be an important behavior that can improve health. Based on this new line of research, we actually define exercise and physical activity as different behaviors. This may seem strange, but it really helps our participants to better define areas that they can improve upon. Firstly, we define exercise as structured activity in which the body movement itself is the purpose of the activity, and improving physical fitness is the end goal. Going for a run, a bike, or a swim, or going to the gym to lift weights all fall under the definition of exercise. On the other hand, physical activity is much more broad and includes any type of body movement, whether the movement is the means to another end, or the goal is not to improve fitness. For example, walking around in the grocery store and then lifting the bags from your car into the kitchen could be considered physical activity. Neither of these activities are done for the purpose of becoming more fit, the activities are a means to an end – buying food. These definitions are consistent with the scientific literature that has come to understand these two behaviors as somewhat unique. Although I’m sure everyone out there knows that exercise is good for one’s health, we are only starting to realize that ‘physical activity’ – or all the other activity besides structured exercise – has a unique effect on health. Exercise, whether that means going for a run, a bike ride, or lifting weights, is independently associated with a number of health benefits, including reducing the risk of heart disease, stroke, certain types of cancer, obesity, osteoporosis, chronic obstructive pulmonary disorder, depression, anxiety, cognitive decline, and in general a better quality of life. These conclusions have been spread across many research studies over the years and are well established. In fact, 7 of the top 10 causes of death in Canada have links to exercise, where increased levels are related to a reduced risk of onset. However, exercise is only one piece of the puzzle. Many individuals think that if they get a workout in every day or couple of days, they have checked off that box and are OK to lounge around for the rest of the day. Scientists have recently turned to this question to determine whether it is not only important to get sufficient levels of exercise in but to also make sure one is not sitting around for the rest of the day. As it turns out, sedentary behavior, or a lack of physical activity, is also associated with a number of negative health outcomes similar to exercise. Interestingly however, risks of developing obesity and diabetes are associated with total sitting time independently of how much a person is exercising. To build on these studies, interventions have actually tested the effects of programs that focus on only improving exercise, only reducing time spent sedentary, or both. 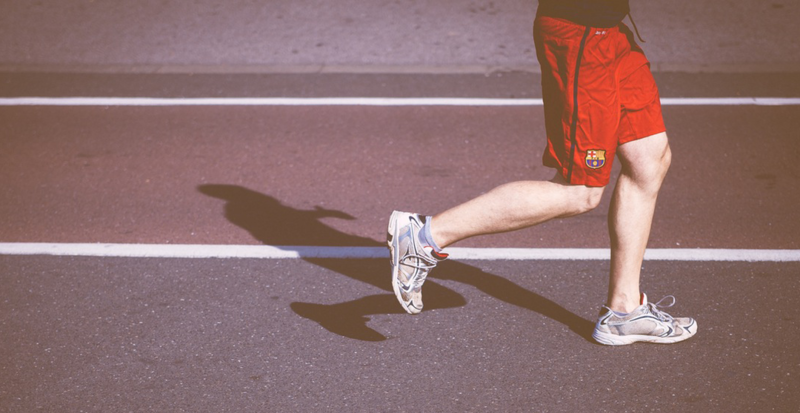 Although this line of research is in its infancy, preliminary findings suggest that those who increase their exercise levels and increase their non-exercise physical activity have better health outcomes than those who only improve one behavior. These results bolster our approach in actually separating these behaviors and focusing on them independently. We give participants an exercise prescription, which focuses on weekly exercise time performed at a heart rate personalized to the participant based on their performance on a sub-maximal VO2 Max test. We then work with the participant to come up with ways to integrate more exercise in their life. That includes questions related to activity preferences, their weekly schedule, and how to remind themselves to exercise. The Canadian Society for Exercise Physiology recommends that adults achieve 150 minutes of exercise per week, so this is the ultimate goal for all of our participants. However, we want to focus on setting achievable goals, so we work towards this goal over the course of the entire program. After that process has been completed, we then set a separate physical activity prescription. Whereas exercise focused on actual exercise time, the physical activity prescription focuses only on daily step count. Steps could be counted during exercise, but also while walking the dog, taking a break at work, or even walking around the couch during a commercial break in the hockey game. The Canadian recommendation is 10,000 steps per day, so this is our ultimate goal, however we have a proprietary method for setting shorter-term goals that soon add up to big changes. It is particularly important to cover these behaviors separately because the barriers and facilitators to engaging these behaviors can be so different. For exercise, an individual needs to block out an hour or so on most days of the week, and may need some equipment (e.g., bike, swimming gear, etc.) to get their exercise in. Conversely, physical activity is something that slowly accumulates over the course of a day, where little things like walking to the fountain to fill up a water bottle can add up to a big outcome. The measurement of these behaviors is also different. Exercise is easily measured through self-report, as it is a simple task to think about how much purposeful, scheduled exercise an individual has engaged in over a week. On the other hand, it would be really hard to guess or report on how many steps you have taken in a day. For that reason, we rely on pedometers to track our participants behaviors. Hip pedometers can be found for cheap at many popular electronic stores, and fitness trackers like the FitBit have become very popular. Pedometers integrated into the smartphone, like the one included in the HealtheSteps app, can be found for free on the iTunes or Google Play Store. Do you currently focus on both exercise and physical activity? If you are a HealtheSteps coach you do, but if not you’re not associated with the program you should certainly consider covering both exercise and physical activity with a client. Have any other questions? Tweet to us @HealtheSteps!